At Backyard Grannys, we provide a range of designs to suit every lifestyle. For those seeking a contemporary look and maximum use of space, it is no wonder the Allambie is one of our most popular design choices – particularly for property investors! 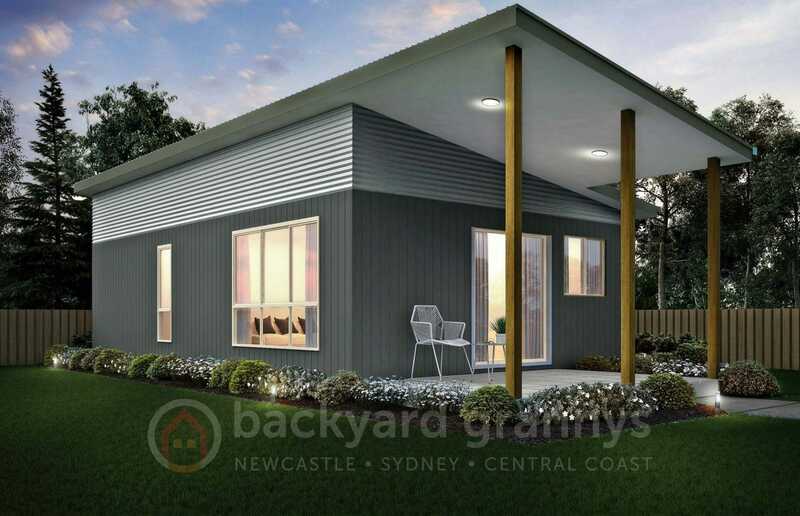 The Allambie design provides the perfect living space with its two bedrooms, both with generous built in wardrobes. With a comfortably sized bathroom that seamlessly incorporates a laundry, this granny flat is by far the design of choice for our clients. Featuring an on-trend skillion roof, the Allambie applies modern architectural techniques that make for a visually appealing and comfortable home. The optional inclusion of a front alfresco area creates more space that is perfect for entertaining family and friends or relaxing with a cup of tea. Incorporating an open plan layout, the kitchen connects seamlessly to the living and dining areas. The feeling of light and space is further enhanced through the positioning of windows in the living area, providing uninterrupted views of the outdoor landscape. 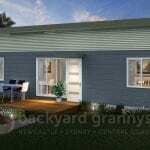 A granny flat is a worthwhile addition to many properties. They have long been the perfect solution for many individuals seeking their own sense of space, while keeping their loved ones close, and for property investors looking to increase the yield on their land. Today’s modern, functional designs will add value to your property at the same time boosting the available living space. Click here to download your Allambie floorplan today.